The Lexington Tabletop Fireplace from Anywhere Fireplace will make the perfect centerpiece and provide all the ambiance and atmosphere you will ever need without smoke, soot, ashes or melted wax. The Anywhere Fireplace Metropolitan Indoor Outdoor Fireplace brings a real fire and real ambiance to any room or outdoor area. 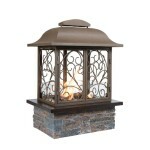 This small compact unit is very easy to move wherever firelight ambiance is wanted. 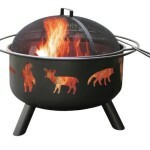 The Anywhere Fireplace is easy to use and very portable. The Empire Tabletop Indoor Outdoor Fireplace lets you enjoy the benefits of a fire pit without the muss and fuss of burning wood. If you want an Indoor Outdoor Fireplace but don’t want the muss and fuss of burning wood the Gramercy Anywhere Fireplace is for you. 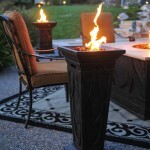 This Portable Gel Fuel Fireplace is sure to make a beautiful addition to your home. 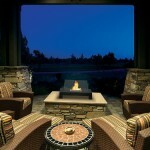 This indoor/outdoor fireplace is a light weight portable gel fuel fireplace that is easy to move and sure to warm up and add ambiance to your cool nights. This Indoor Outdoor Fireplace from Anywhere Fireplace lets you bring your fire to the party instead of the other way around. 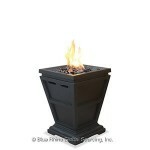 The Havana propane fire column will deliver a warm inviting glow and 15000 BTUs of heat to your next outdoor party. 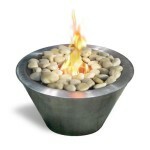 Add atmosphere instantly with the push of a button using this propane fired Tabletop Fire Bowl. 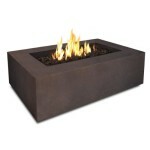 The Havana Tabletop Fire Bowl will heat up your gatherings even when things start to cool down.